While I tend to discover most designers and patterns on Ravelry, I actually learned about Jenny of SweaterFreak Knits via Instagram. I was drawn to her modern, clean aesthetic and the use of subtle speckles in many of her shawls. Despite her name, I approached her about pairing up with Nicole of Hue Loco to design a one-skein accessory pattern for the Indie Untangled Where We Knit yarn club. 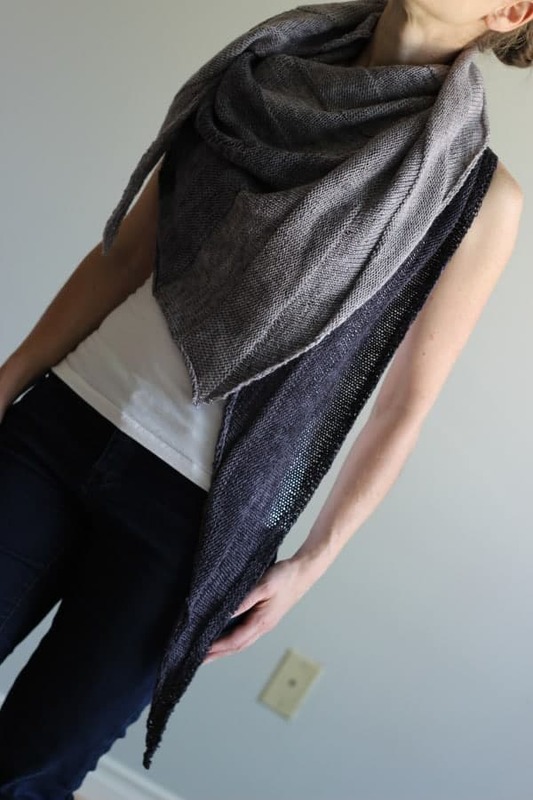 The result was Nicole’s Chelsea Park Cowl, a lovely shawl/cowl hybrid that looks so easy to throw on with a spring outfit. It is now available to purchase by non-club members. 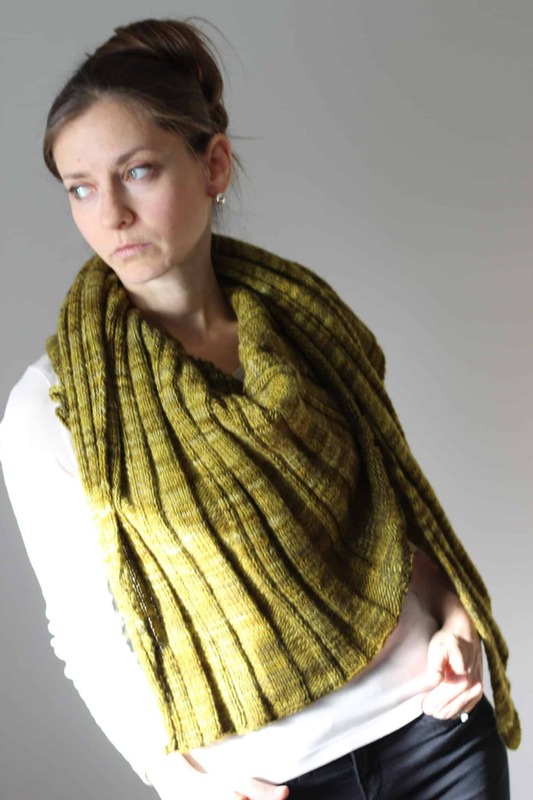 Read on to learn more about Jenny’s career as a designer and about how the cowl got its name. It happened organically. 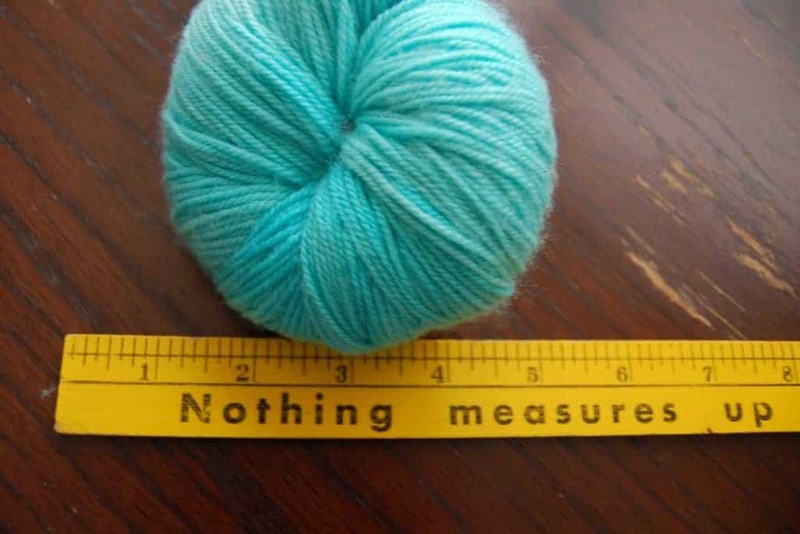 I have always preferred to knit things out of my head and after plenty of encouragement from Ravelry community, I started writing up the instructions to my ideas which became patterns. Is there anything from your software developer side that transfers over to design? Actually, it’s a great question and the answer is yes! Software development is all about planning and details which is very similar to knitwear design. The math behind grading requires quite a bit of focus and attention to detail. Similarly, writing the pattern is akin to writing code – both essentially are a list of instructions. You will find that many designers were involved in tech before they started designing because it really does employ the same part of the brain. How did you come up with SweaterFreak Knits and why do you use it as your designer name? My very first project after a long hiatus was a sweater. Wanting specific sweaters really was the reason that I picked up the needles again. This was back in 2006 and in 2007 Ravelry made its debut. I chose SweaterFreak as my nick and of course I had no idea I will end designing knitwear! In 2011 when I released my first pattern, I considered changing the moniker but since so many people knew me already I decided to keep it. 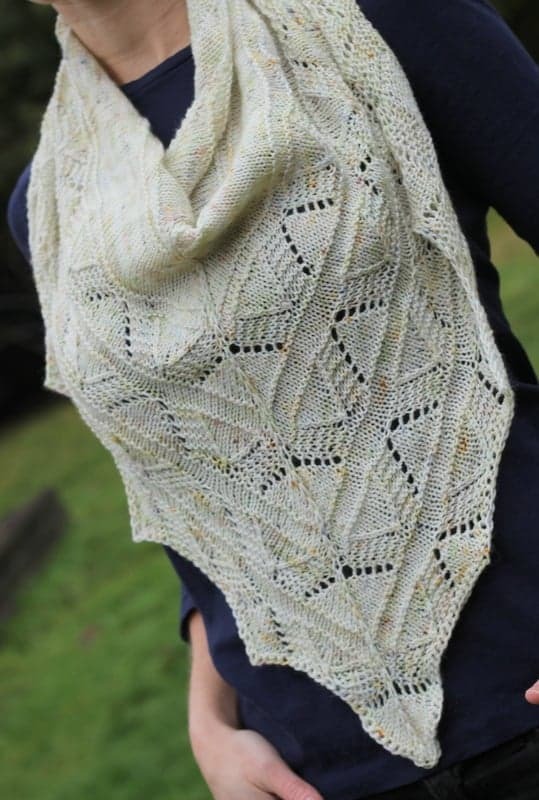 Jenny’s latest pattern, White Light. I learned how to knit in 1985 when I was 7 years old. My maternal grandmother, Rivkah, taught me and I liked it right away. She was an avid crafter and actually preferred to crochet but she taught me both. We also share total love for yarn! She had a sizable stash and I grew up with lots of fabric and yarn around me. Most of my family two generations back were dress makers so I feel that making clothes with my hands is really something I am meant to be doing. It’s a bit of everything – sometimes I get a particular idea in my head, maybe from seeing it somewhere or just something I have wanted for awhile. I love browsing fashion magazines and see the clothing evolve. My personal favorite decade is the ‘60s which has lots of different elements – classic tailored pieces as well as boho-hippie style ones. I love both equally. Often times, the yarn itself starts everything in motion. For example, when you touch hearty unprocessed wool, you think fair isle. The first step is to sketch it. This usually gives me a good idea of what garment or accessory is going to look like, what kind of shaping it will involve. Sometimes, I use colored pencils to sketch, if the design is colorful. My absolutely favorite color is blue – all shades of it, except periwinkle. It hasn’t really changed. I also love various shades of grey, green and natural. Lately, I have really gotten into yellow and mustard colors – they just look so smashing with grey! 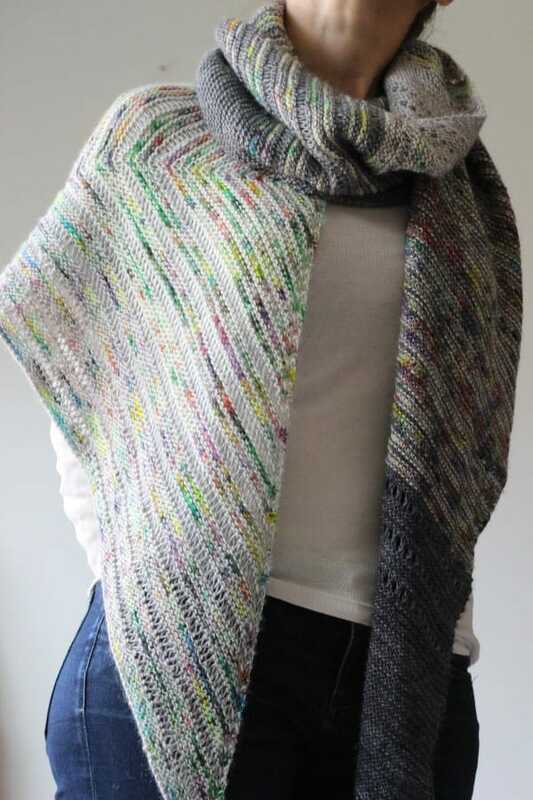 Jenny’s most popular pattern is her Everyday Shawl. Definitely outside, either in the park (closest to me is Chelsea Park!) or on the beach, or even my backyard! Somehow the combination of fresh air, warm wind and wool in my lap equals heaven. I could do this forever! This entry was posted in Q&A and tagged cowls, indies, interview, patterns, shawls, sweaters, yarn club.